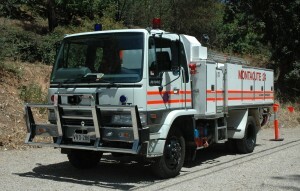 Montacute 24 is a Hino based appliance, is 4 wheel drive, and carries 2000 litres of water. It carries equipment to deal with rural fires. It also carries a chainsaw, and is fitted with a GPS unit. 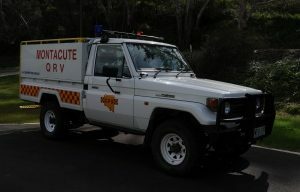 Montacute QRV is a Toyota Landcruiser based appliance, which carries around 500 litres of water. It is designed as a quick response vehicle, which can access the narrow & winding fire tracks and driveways around the area. The callsign of this appliance was changed in September 2010, from Montacute 14 to Montacute QRV, to bring the callsign into line with current CFS policy.